If you read these words and feel an instant sense of dread...you might be a toddler mom! Before children, I used to love going to the store. I would browse for hours, just killing time. But after kids? Forget it! You want to get in, get done, and get out! And when you do so successfully, you feel like you deserve a cape, because surely this is a feat that only a Super Mom can pull off, am I right? Typically, my kids are pretty good kids, not greedy in the least... but as soon as we step into the store, it's like they've been bit by the 'I want it' bug! "Mommy, I want a toy!" Surely, this isn't just MY kids right? I mean I get it, inside my head as I'm walking through my Target store, I'm seeing a whole lot of wants myself. Kids just verbalize what we're all thinking! I cannot tell you how many times in one shopping trip I find myself saying NO! I don't always want to be that 'No Mom', but I also don't want to give into my children's every whim and every craving for not so good for them foods. So, when we were looking through the baby section at our local Target store, I was thrilled to stumble upon a snack that I could actually feel GOOD about saying yes to, Gerber® Lil’ Beanies(TM)! So, what makes Lil' Beanies (TM) a win/win choice for moms and kids alike? For kids, it's all about the flavor and fun! 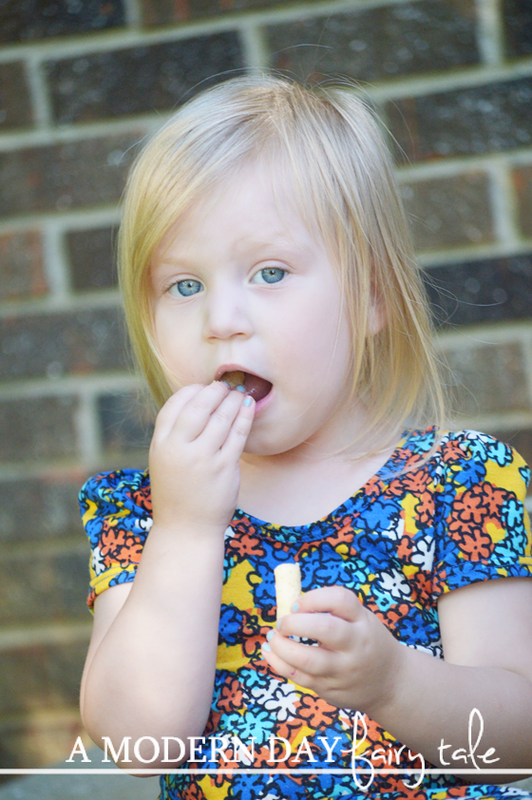 At first glance, these look very much like a cheesy puff snack that kids are so often drawn to but that are often packed full on unpronounceable ingredients--- not an ideal healthy kids snack! But they don't just look appealing, they taste great too! The come in two delicious flavors: original and white cheddar & broccoli. My daughter could not stop going back for more of either! Win #1: They look great and taste great so kids actually WANT to eat them and will ask for them again and again! But for myself as a mom, it's also a snack that I can feel great about feeding my children too! 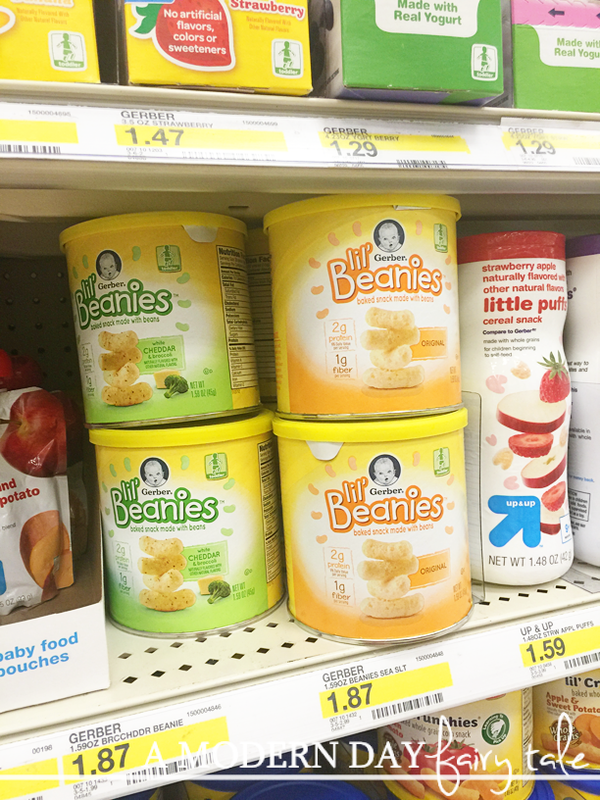 Lil' Beanies (TM) is the first bean based snack in the baby aisle. It is made from the goodness of navy beans to deliver 2 grams of protein (9% Daily Value), 1 gram of fiber and 10% Daily Value of Vitamin E per serving. Gerber® Lil’ Beanies(TM) Snack is baked, not made with genetically engineered (GM) ingredients, and is naturally flavored! 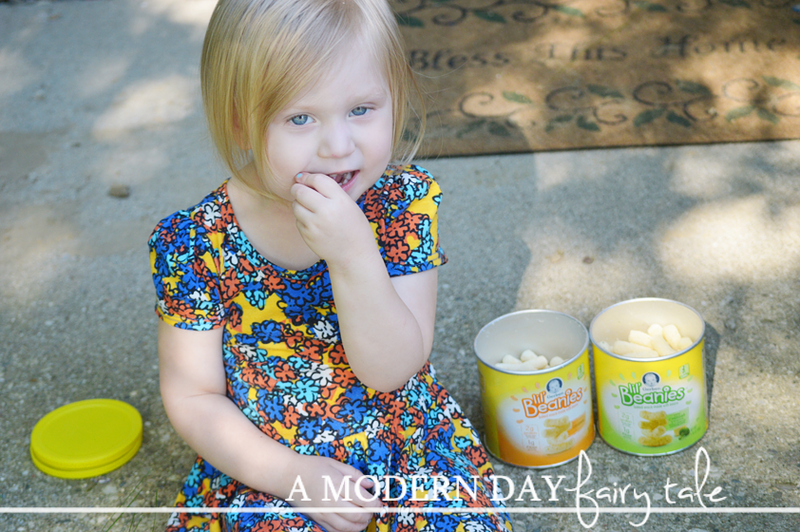 Win # 2: They are a healthier, more natural alternative to other salty kids' snacks that I as a mom feel confident in feeding my children! 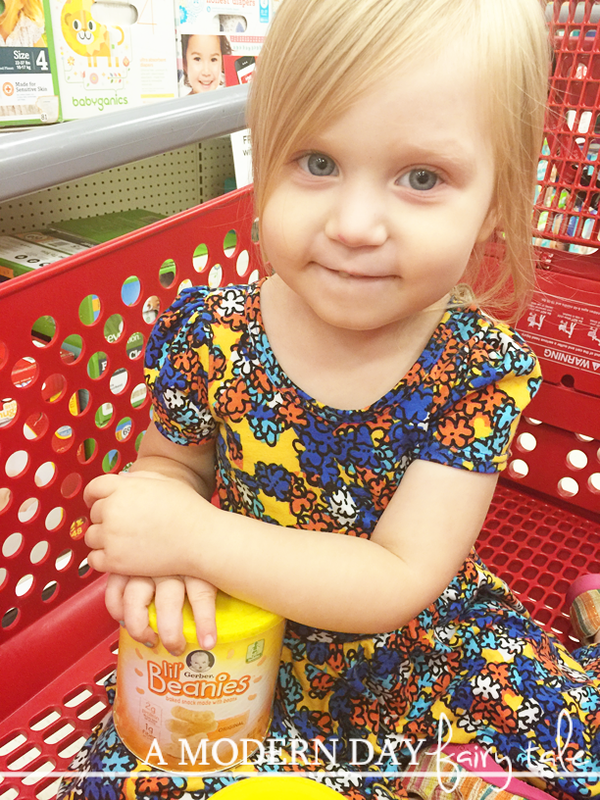 Gerber Lil' Beanies (TM) truly are a delicious, nutritious treat, your little ones will love it for its taste and you’ll love it for its nutrition. It's a win/win for everyone! Now, you can browse Target from open to close, and not feel like you're saying no to everything. Just walk through the baby aisle--- your kids will see the snack they love and think that they're the ones getting what they want when you finally say yes! Go ahead mamas, spoil your kids with this win/win snack...and wear that cape proudly. You deserve it. 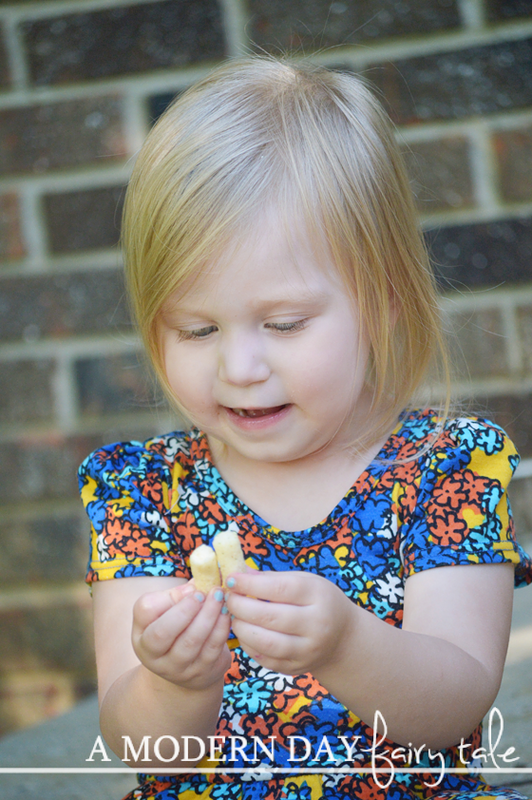 Need a fun snack for your little one? 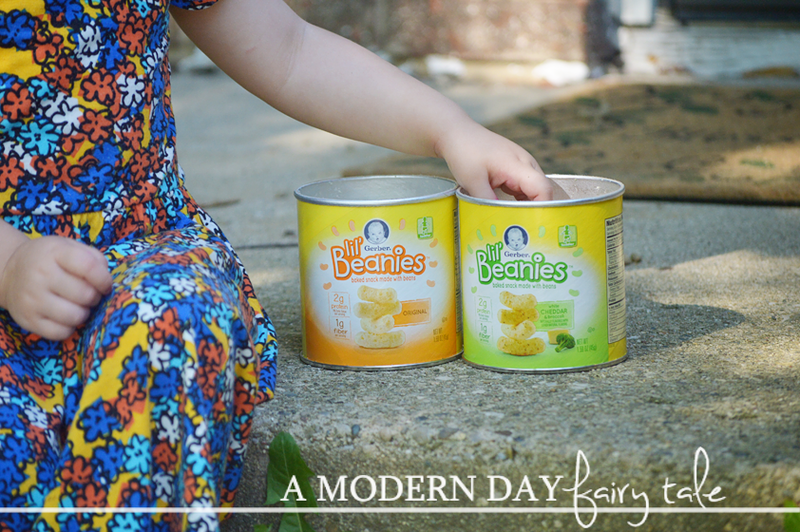 Check out the Original Lil' Beanies and White Cheddar & Broccoli, and come back and tell me which one YOUR little one would love! Love the fun flavors and that these are made with beans!! Yay for healthy snacks!! I'm always looking for the healthiest options for my baby! She's not quite ready for these as she's still working on teeth, but I'll definitely keep these in mind!